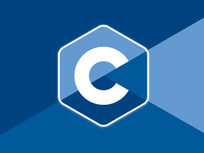 C Programming is a Software Development Staple. Master it in 84 Hours of Specially Curated Instruction. 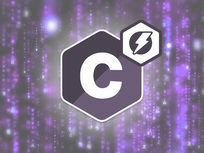 C Programming for Beginners: Go from Zero to Hero! To be an expert C programmer you need to master the use of pointers. This course explains pointers in real depth, explaining pointer variables, pointer arithmetic, indirection, memory allocation, and much more. By the time you finish the course, you'll know pointers inside out, and how to ensure your programs don't crash! 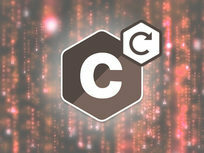 C is a general-purpose, imperative computer programming language that is ideal for developing firmware or portable applications. It is highly portable, making it a common choice for operating systems and microprocessors in hardware such as fridges and alarm clocks. 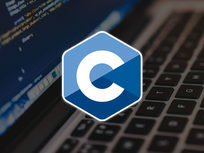 C is a solid first language to learn since most programming languages are themselves today implemented in C. All of this is to say, this course is an excellent jumping off point for your programming odyssey. Huw Collingbourne is the technology director at SapphireSteel Software, developers of the “Sapphire” Ruby IDE for Visual Studio and the “Amethyst” IDE for the Adobe Flash Platform. He is author of The Book Of Ruby from No Starch Press. He runs Bitwise Courses and teaches courses on a range of programming topics. Huw has been a programmer for more than 30 years. He is a well-known technology writer in the UK. For over ten years he wrote the Delphi and Java programming column for PC Plus Magazine. He has also written numerous opinion and programming columns (including tutorials on C#, Smalltalk, ActionScript and Ruby) for a number of computer magazines, such as Computer Shopper, Flash & Flex Developer’s Magazine, PC Pro, and PC Plus. He is the author of the free ebook The Little Book of Ruby and is the editor of the online computing magazine Bitwise. In the 1980s he was a pop music journalist and interviewed most of the New Romantic stars, such as Duran Duran, Spandau Ballet, Adam Ant, Boy George, and Depeche Mode. He is now writing a series of New Romantic murder mysteries. At various times Huw has been a magazine publisher, editor, and TV broadcaster. He has an MA in English from the University of Cambridge and holds a 2nd dan black belt in aikido, a martial art which he teaches in North Devon, UK. The aikido comes in useful when trying (usually unsuccessfully) to keep his Pyrenean Mountain Dogs under some semblance of control. FAQ - Read This First! This video course is adapted from the instructor's 15 years of teaching undergraduate engineering students in the classroom. 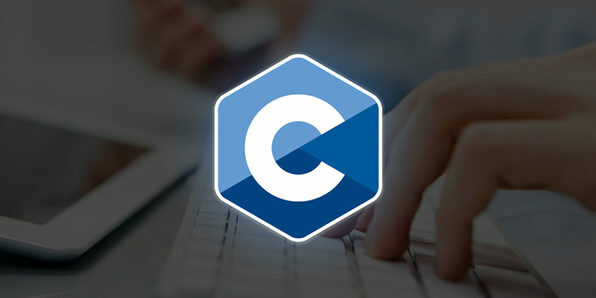 Designed to cover an entire introduction to the C language, this course will help you build a sold foundation in C and boost your confidence to face technical interviews. Siibaji Paul has been teaching computer science and programming since 2001. He did his M Tech in Computer Science and remained visiting faculty to the CSE department of Narula Institute of Technology. He has his own training institute where he provides training on various programming languages and technologies to the B Tech students on C, C++, Java, Android programming, Data structure and Algorithm, DBMS, SQL and PL/SQL. In his classroom Sibaji usually teaches 100-150 students per semester on different subjects. When he is not taking class he enjoys learning some new technologies. In his leisure time one could find him enjoying time with his kids or gossiping with his wife over a container of tea. He is a "tea-totaller" and hates smoking. Do it again and again until satisfied, technique for iteration. Modularise your program using function. Recursion, how to write recursive functions. Pointers, tweak with memory locations. Bitwise operators - Learn how to manipulate bits. 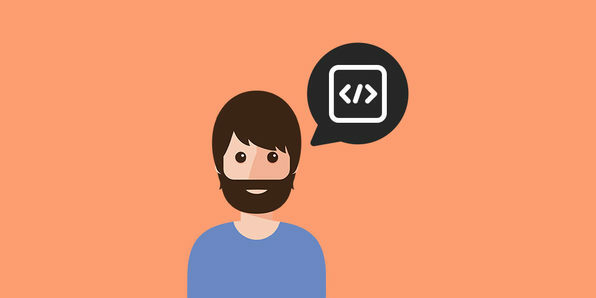 Programming isn't just about learning a language and starting to write programs like stories. One has to learn certain concepts that are fundamental to computer science in general. This course teaches fundamentals of data structures in a step-by-step manner. 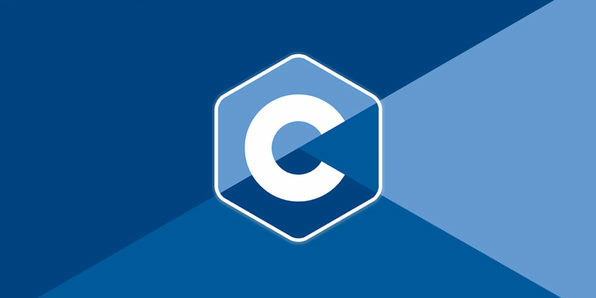 You'll cover topics such as arrays, stacks and queues, linked lists, trees, and graphs in detail, alongside a variety of do-it-yourself coding exercises, building up your coding repertoire. Gayatri TR is a coder and researcher, has several years of experience in coding in C for a wide range of projects encompassing device drivers, embedded systems, natural language and speech applications, algorithms & data structures, and much more. Apart from these, she has deep interest in several other diverse fields like electronic circuits, compiler design, computational linguistics, machine learning, Samskrutam, music, philosophy, and the list goes on..
Gayatri comes with a very strong academic and industrial background with international exposure. She hopes to bring a positive change in the lives of each and every one of her students by sharing her knowledge and wisdom gained through her years of experience. 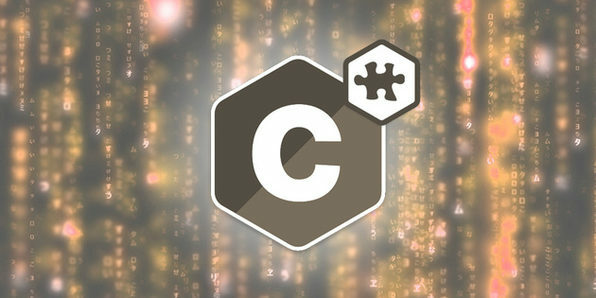 This course will help you strengthen your fundamental understanding of C language. Using a real-world approach, it introduces several components of C programming that you may encounter in everyday programming challenges. 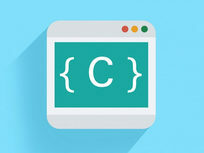 This is the course to solidify your understanding of C, and give you that extra push you need to ace any important interview or test. Introduction: What is our goal in this project? Consider C the programming equivalent of a French mother sauce. 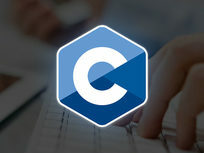 Just as chefs can create countless derivatives from a humble Bechamel, so too can developers easily master scores of languages upon learning C. This course will walk you through technical concepts such as loops, strings, and more, allowing you to conquer C and build a wide variety of apps and programs in no time at all. 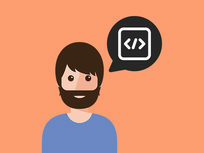 Master language constructs: if/else & case statements, while & for loops, etc. Cruising along - linked lists are fun! Autopilot - Linked lists are easy now! 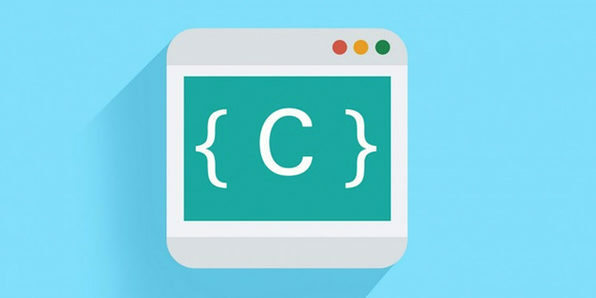 The C programming language is one of the earlier programming languages, and many other languages have their syntax based on C. Therefore, learning C can be an excellent introduction to programming as it makes learning many subsequent languages, like Java, PHP, or Swift, much easier. 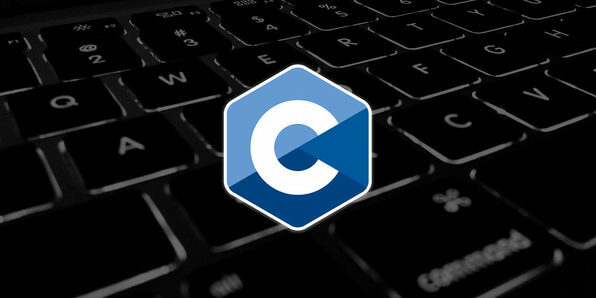 This introductory course will get you up to speed on C and enable you to dive into other languages more easily. Algorithms are a central tenet to programming, and are essential to ensure that software and programs perform the right operations under the right conditions. Companies depend on their systems algorithms to function correctly, which means they'll pay top dollar for people who understand how to work with them. 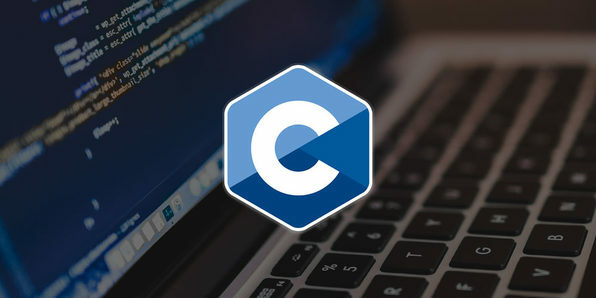 This course will help you to understand how to implement logic in code form to enable you to write algorithms efficiently in C.
Engineering Mentor is an online educational start-up, providing educational resources to IT and non-IT students. At Engineering Mentor, we create high quality resources in clear and easy to understand methods. We have a team of qualified engineers who create resources to guide students through the toughest aspects of technical and non-technical education. Knowing the fundamentals of C programming is the first step to getting any C-heavy job. You may feel like you've got the language down, but it's the most basic things that are the easiest to slip your mind when you sit down for an interview. This course irons out and tests your knowledge of all the core C programming fundamentals that you'll need to know in order to ace an interview, so you don't have to worry! Ranga Karanam is an Architect with 15 Years of Java Programming and Design Experience. He had the good fortune of Architecting Java Applications for Major Banking Clients across the world - India, United States and the Netherlands. Other than Programming, he has a strong passion for Hiking. His goal is to spend a year hiking in the Himalayas. Ranga started in28Minutes with the aim to create Hands-on Courses with Real World Projects. Step-By-Step series of Courses is one of their creations. They have 1.5 Million Views and 12K Subscribers on their YouTube Channel, and look forward to replicating the same success on StackSkills. 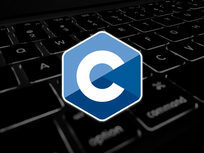 C, C++, Ruby, and Python are four of the most popular and powerful programming languages used today. You can find them in everything from web and mobile apps, games, operating systems, all of your favorite websites, and many hardware devices. This comprehensive course teaches you fundamentals in all 4, giving you a valuable programming background that you can confidently boast on your resume. DoEdu IT Educations is the tutorial which provides in depth knowledge of various theory and practical aspects in software languages. We create our tutorials in perspective of real time applications. DoEdu IT goal is to reach people world wide who are looking for carrier in IT/Software industry, which provides high quality training to the Aspiring persons, we do our work with pride and passion we are actually very much inspired Udemy. DoEdu IT Educations primary goal is to provide professional couching with very low price tag, so helping the people who wants quality training with low cost, We are group of people working in top MNC in india who wants to create online tutorials on various software languages which contains the real time scenarios.